To be really honest, people around me didn’t really know the existence of Shisen Hanten at Mandarin Orchard until it was awarded 2 Michelin stars. 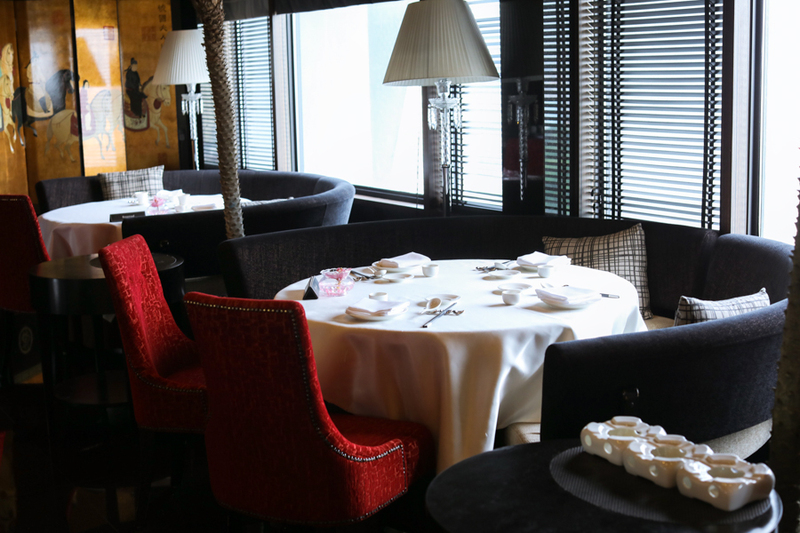 That made it the highest Michelin-rated Chinese restaurant in Singapore for 2 years running. 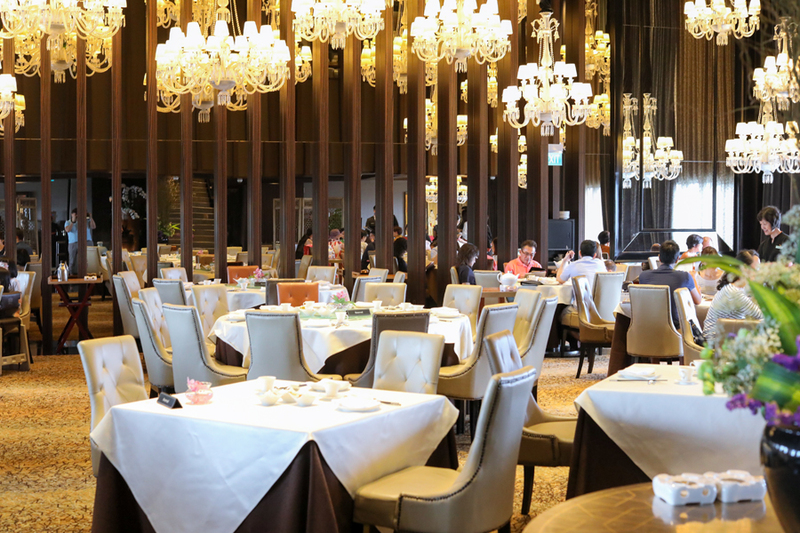 The win came as a surprise then, as it wasn’t serving the traditionally favourite Cantonese-style dishes available in many high-end hotels here, but Sichuan dishes. And it had a Japanese name. So there were friends who seriously thought (and still do) this was a sushi restaurant. 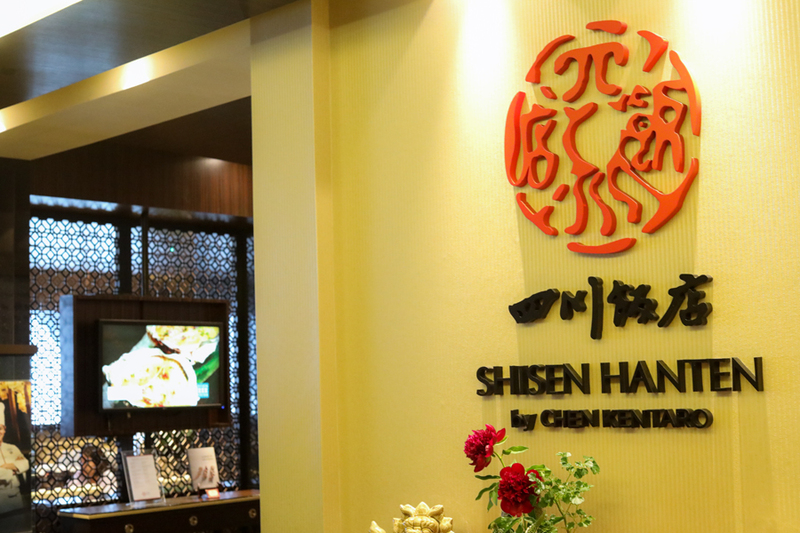 A little background: Shisen Hanten is Japan’s best loved chain of Szechwan restaurants. To date, it boasts of 14 branches in six cities across Japan, and debuted in Singapore in 2014 at the 35th floor of Mandarin Orchard Singapore. 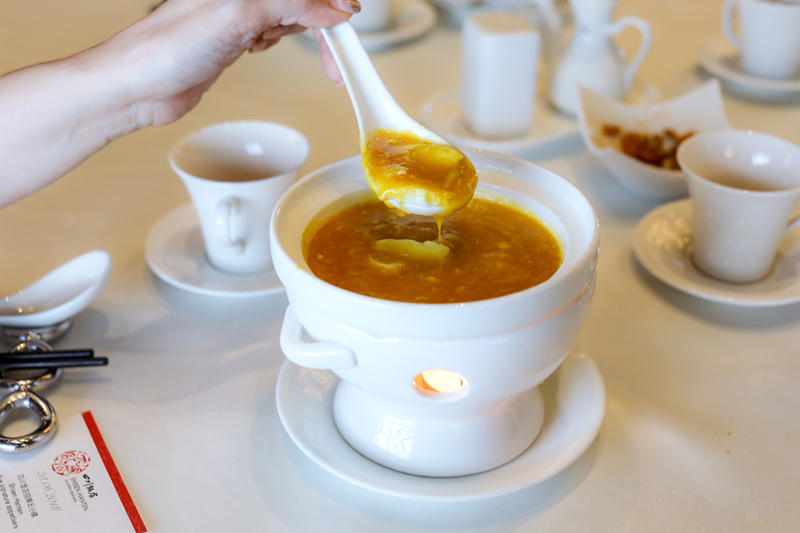 This culinary legacy began in 1958 when Chinese immigrant Chen Kenmin, touted as the “Father of Szechwan Cuisine” founded Japan’s first Szechwan restaurant. His eldest son, Chen Kenichi, a.k.a. “Szechuan Sage” and a celebrated iron chef, carried on the family tradition and expanded the business across Japan. 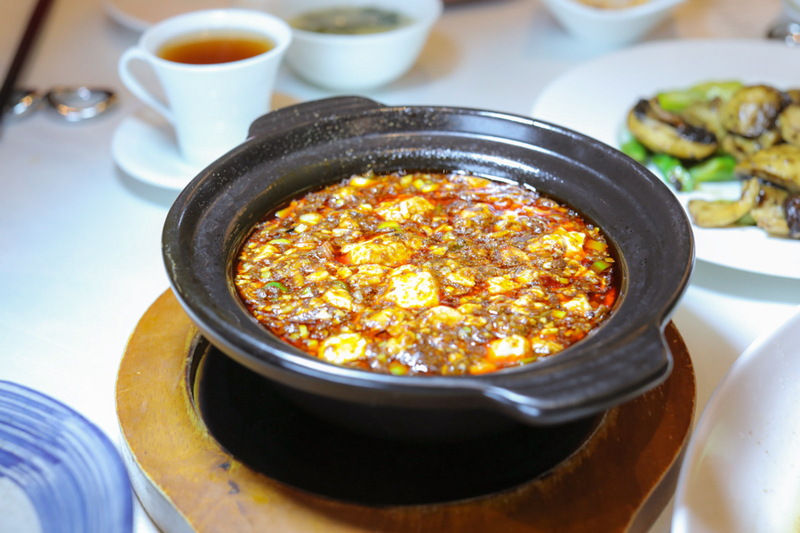 His signature dishes emphasised the 7 basic flavours that give Szechwan food that distinct boldness, namely – sour, pungent, hot, sweet, bitter, aromatic, and salty. Now in the spotlight and running the show is third-generation Chen Kentaro, the affable Executive Chef of Shisen Hanten by Chen Kentaro. 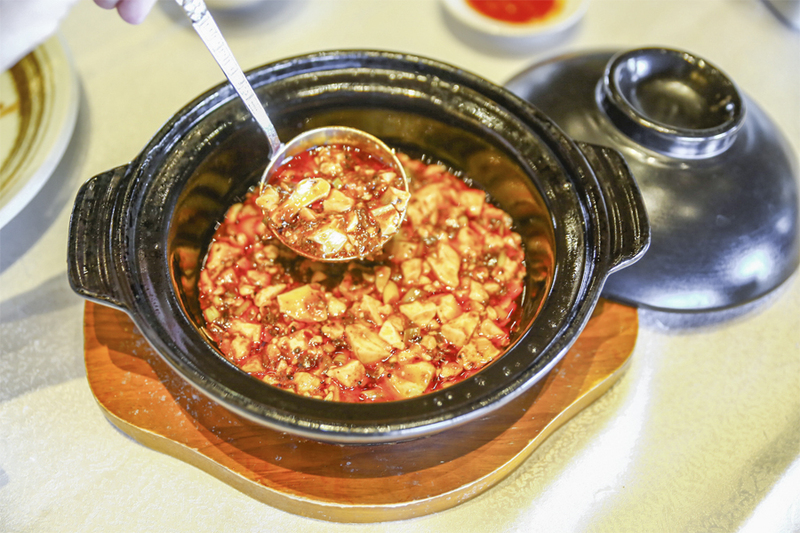 A rising star in Japan’s culinary scene, he brings to Singapore his grandfather’s vision to promote greater appreciation of Szechuan cuisine through their signature dishes. In terms of décor, the high-ceilinged dining room is spacious, displaying a stunning array of chandeliers. With beautiful furnishings and gorgeous warm lighting, the space has that chic and cosy ambiance. Fresh floral arrangements adorn the centre of the dining room. Drapes on the windows not only add protection from the sun, but drama as well. Tables are well-spaced to make dining comfortable for its guests, with different sizes to accommodate groups of 4 and up. 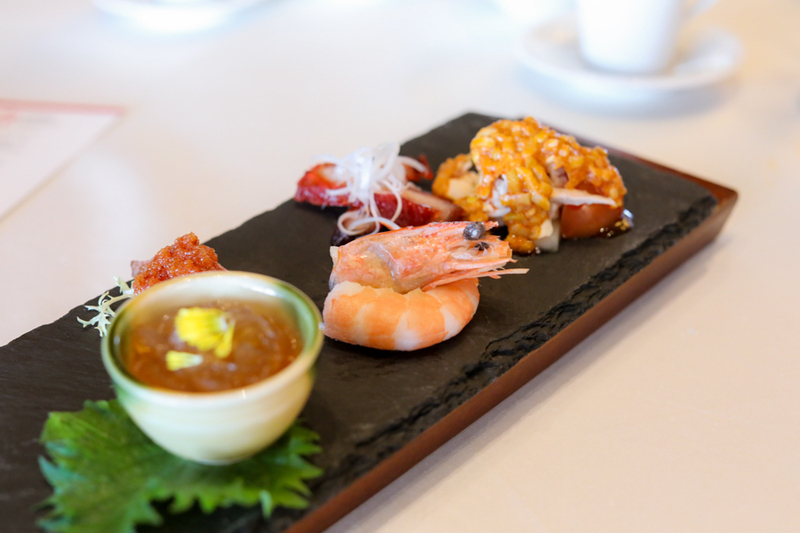 Shisen Hanten by Chef Kentaro has a la carte, dim sum, and children’s menus. Here are Chef Kentaro’s specialties: Shisen Hanten Five Signature Appetisers ($24), Chen’s Mapo Doufu ($26) which is stir-fried tofu in hot Szechuan pepper-flavor meat sauce, Stewed Fish Fillet in Super Spicy Szechwan Chilli Pepper ($32), Chille Spicy Noodle Soup ($22), Sweet and Sour Fried Kurobuta Pork inBlack Vinegar ($38), and Sautéed Szechuan Chilli Peppers and Chicken ($32), and Lobster. Other Chef’s recommendations include Shisen Hanten Five Signature Appetisers ($24 per pax), Shisen Hanten Signature Steamed Chicken with Sesame Sauce ($26 per pax), Chilled Spicy Steamed Chicken with Cashew Nut ($26 per pax), Szechuan Hot and Sour Seafood Soup ($15 per pax), Foie Gras Chawanmushi with Crab Roe Soup ($36 per pax), and South African 3-Head Jumbo Abalone ($238 per person). 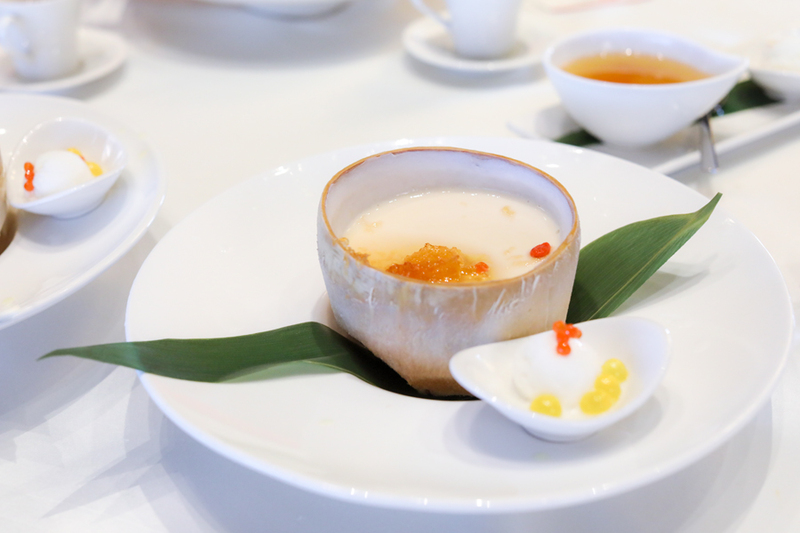 If you’re here for the dim sum, note that it’s only available during lunch. Prices range from $6.50 (Steamed Chicken Feet with Peanut) to $16.00 (Chinese Pancake) per portion. The stand-out dish was really the “Chen’s Mapo Dofu” ($26) stir-fried tofu in hot Szechwan pepper-flavoured meat sauce served with Hokkaido rice. 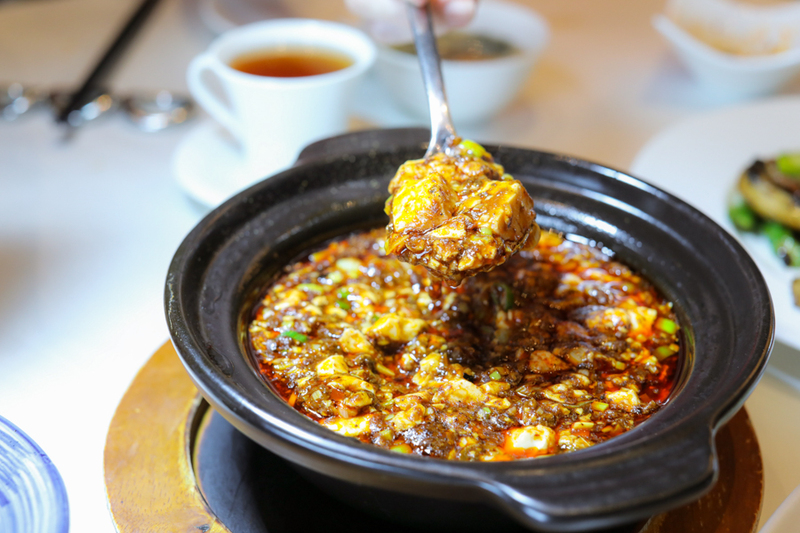 Compared to the typical Sichuan version which would be greasy, super spicy and robust, the bowl I had weaved in all the intricate flavours of savoury-spicy, yet being manageable as well. You would get a kick out of the part-numbing spices, but it wasn’t so much that it distracted from the flavours of the rest of the ingredients. 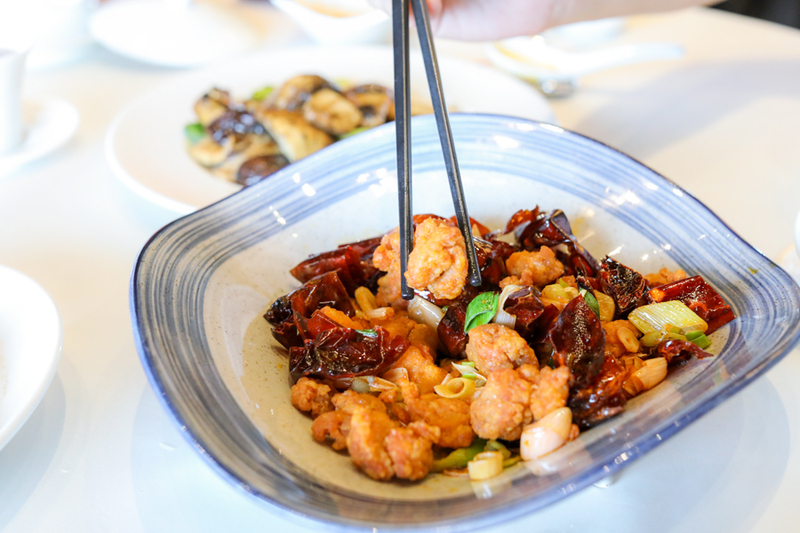 The other stand-out dish was the Sautéed Chilli Pepper and Chicken ($32) – lightly crispy, succulent meat, not oily, and the chilli providing an addictive-hot sensitive. 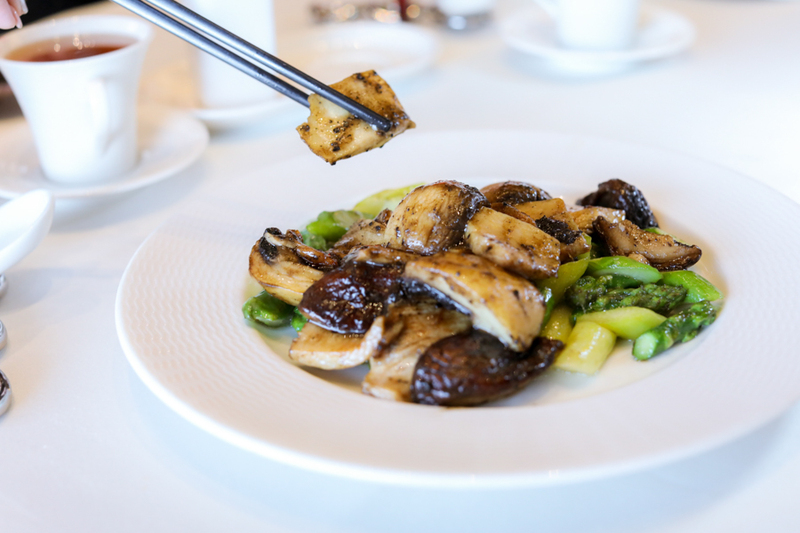 Another dish I enjoyed was the Sautéed Seasonal Vegetable with Duo Mushrooms and Truffle ($30), which I would say would be decent Singapore restaurant quality. 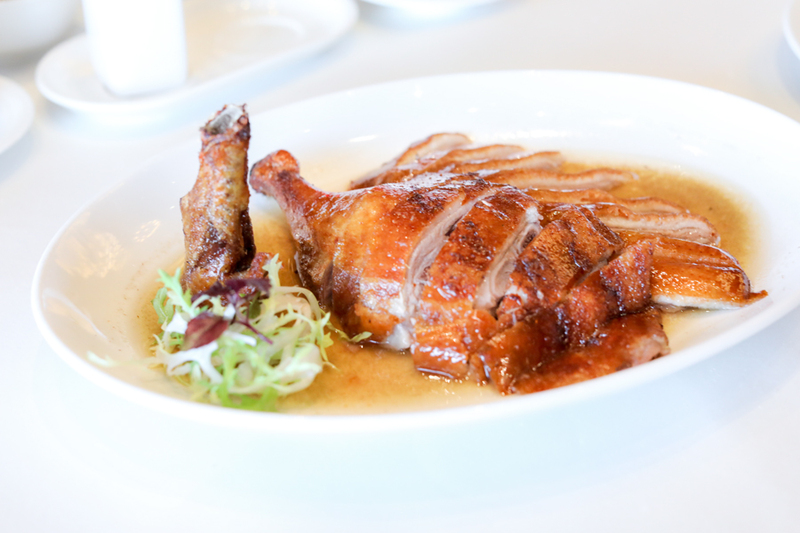 Not all were hits, and the recommended Stewed Fish Fillet with Pickled Vegetable served in hot stone pot ($38) was largely forgettable, and Roasted London Duck could do with crispier skin. The thing about being 2-star Michelin would be a two edged sword: it brings about fame and overseas guests; the other is diners would expect this to be A LOT better than the 1-star ones – which may not be so depending on what you order. * Follow @DanielFoodDiary on Facebook and Instagram for more food news, food videos and travel highlights. This review was written after two meals – one hosted, one self-paid and visited anonymously. View of this restaurant is really nice. I bet they spent a lot of time to design and decorate it. Will come and try food here. Is this 2⭐️ out of 5? This restaurant is not listed as 2 ⭐️ In the Michelin Guide list. IS DANIEL PAID FOR THIS FAKE ACCLAIM? Looks like I made a mistake!